We are now living in a digital world where most of us are connected with smartphones and instant messengers with greater demand for customer service 24 hours a day, 365 days a year. Despite the advancement of telecommunications, most call centres are still relying on outdated interactive voice response (IVR) systems and human agents. We all know that the nature of call centre work requires timely responses to repetitive queries so it is necessary to automate this part of the customer service process. That is why many businesses have started to invest in the latest artificial intelligence and voice technologies in order to streamline customer engagement without compromising customer satisfaction. Although the call centre industry has always been built on customer issues that needed resolution with brands spending over $1 billion in over 265 billion customer service calls a year, there is still a need to achieve that ideal customer service experience with better and faster service throughout the entire ecosystem (businesses, agents and customers). In the call centre automation revolution, putting advanced voice and AI technologies in customer service would mean that all calls can now be measured, analyzed and dissected in greater detail. Thanks to advanced speech recognition tools built on deep-learning neural networks, machines will keep on improving its recognition of human voice and automatically classify and score every call. It will also enhance conventional IVR systems so that it can effectively respond to natural-language queries with the best possible solutions in a timely manner. Efficiency is the paramount quality in this industry, so it is not surprising that call centres are trying to move away from their outdated IVR systems by letting the AI run most of the show. Normally, the IVR system provides a long list of items on their menu with scripted responses and predetermined outcomes. By incorporating voice AI into the customer experience, a lot of time and money invested in the infrastructure will be saved. Call centres AI with built-in real-time speech analytics will assess the emotional quality of customer calls whether they are satisfied or not. It also monitors the stress levels, speech clarity and tone, all while the call is in progress. Additionally, it will reduce average call handling times and the cost of operating it while also increasing satisfaction and engagement rates. According to IBM, an average of 30 minutes dedicated to customer support call between the customer and agent is wasted due to ineffective IVR and longer wait times. Collectively, 50% of all calls go unresolved while most customers tend not to trust too much on agents because they think that agents won’t be able to help them anyway. With that common hindrance to effective customer service, incorporating AI technology is crucial in increasing first contact resolution. Most industry executives agree that labour shortage and turnover is the most common problem facing call centres as more agents are time-stretched and only a few are multi-skilled. It seems that voice AI is the most logical option to fill that gap. Aside from that, it is a cost-efficient investment in the long run as machine-learning AI will be able to handle customer service round the clock that even the most skilled and experienced employees can’t. Call centres that employ voice AI and chatbots will be able to capture a lot of important customer data in every interaction and run it through their data analytics in order to optimize the call centre process. Increasing the automation in every step of the process would mean that call centres can immediately spot satisfaction and dissatisfaction trends through sentiment analysis. On the other hand, the AI may also utilize predictive analysis where it makes efficient use of customer data from product preference to previous transaction history in order to build dynamic strategies to anticipate expectations and predict tendencies. Businesses that employ virtual AI agents would get a good head start over their competitors because it can easily break down the data into actionable insights. 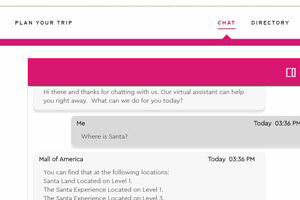 Imagine an AI-powered virtual agent that can answer up to 80% of the simple, routinely-asked questions and in turn, freeing up human agents to answer the more complex queries. Not only that, it allows robotic process automation that effectively eliminates redundant data capture, analysis, cross-referencing and information sharing across different channels and platforms thereby minimizing time wasting and cost. However, brands should not rely too much on automation as some customers do want an option to talk to a human agent at times. Achieving self-service would mean that the AI’s language processing would make customers feel like that they are talking to a real person. Besides, even a “perfect” voice AI may not be able to replicate our small talks and soft skills like patience, empathy, positivity, persuasion, and that calming personality most customers would need. In the Customer Contact Week Digital’s 2018 Executive Priorities Report, businesses want to reduce customer effort (39%), automate customer experience (37%), improve voice of the customer strategy (34%), map customer journey (33%) and improve agent experience (33%). Although digital transformation takes time for brands willing to invest in voice AI for customer telephony, the figures suggest a need to reconcile the expectations of the business, service and customer side of the customer experience process. Tech experts, thought leaders and industry executives agree that call centres put customer service automation as its most important priority while also aiming to achieve a more “frictionless customer experience” with transactional service issues solved quickly and efficiently. Another priority that needed to be addressed is the improvement of the “voice” so that it fits well with the engagement strategy and the needs of the target market demographics. Many businesses try to emulate successful brands like Apple, Amazon, Comcast and Disney for being customer-centric. But what really makes them ‘customer centric’? According to CCW Digital, customer-centric brands are those who provide: personalized experiences that fit customer needs (66%), frictionless customer experience (62%), and memorable experiences (50%). At the end of the day, customers are still the king and they have become more demanding, time-conscious and results-oriented than ever before. That is why brands have to be more flexible and responsive to keep up with their customers. 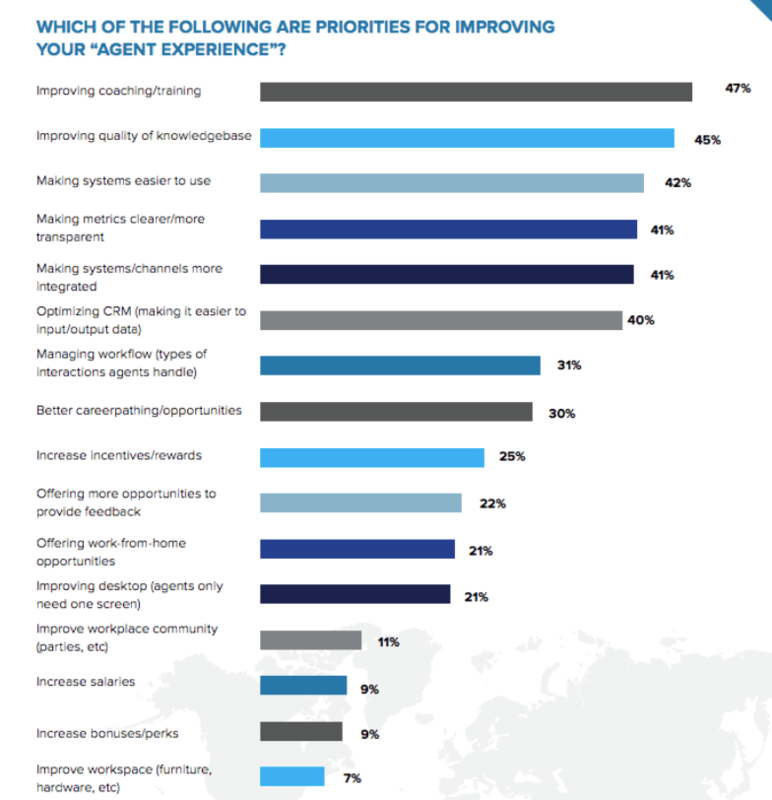 With 48% of businesses trying to improve agent training and coaching, voice AI has the potential to fill in the skills and labour gap while complimenting the existing setup. CCW Digital added that agent efficiency in handling customer service calls would improve as it makes the system easier to manage (42%) and performance metrics are easier to track (41%) with call centre AI come into play. 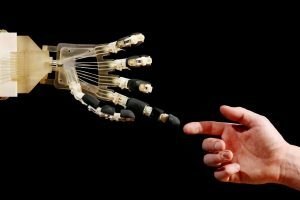 It has been debated in the World Economic Forum at Davos about the risks posed by technology to jobs with AI echoing the possibility of eliminating thousands of jobs in the call centre industry in the coming decades. However, there is still no substitute for the human touch when it comes to customer service. As a disruptive technology, voice AI can change the way business processes run. 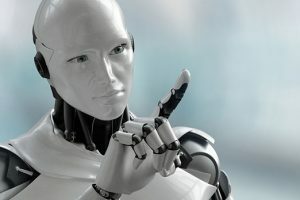 Although it has made work efficient and productive, it also raised some red flags on whether human intervention is still needed in the world of automation. Despite its value, new technologies always bring in issues when it comes to data privacy and security. 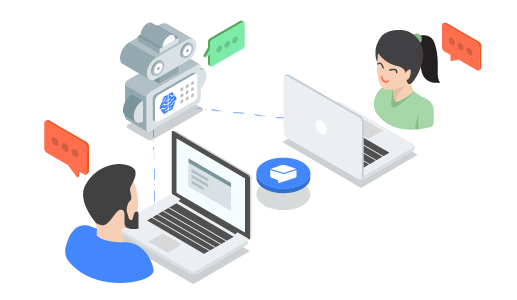 Google’s I/O 2018 conference has introduced its “Duplex” technology where it uses Google Assistant to call companies on a user’s behalf to perform simple, structured tasks with human-like inflexions and natural conversational flow. Such technology gives us a glimpse into a dystopian future where we can no longer tell if we are talking to a human or a robot. The AI already knows more about you even before you start talking on the phone. It is not a secret that businesses always gather information on their target market and such data are used to power the AI to analyze every call and how they are going to respond to their customers. It basically peeks into the general customer behaviour and preferences together with its impact on the brand. Winimy creates voice AI powered telephony platforms that have a multi modal and omni channel interface, it can switch from voice to text and back again, it is a form of simplifying repetitive information and streamlining it to maximise customer experience. No longer do you have to wait for a customer representative to answer and then put you on hold while they confirm details, an AI powered customer telephony platform can eliminate glitches like this that can cause a bad brand experience. We all know that call centres are the vital intermediary between the businesses that market their brands, the people that buy their products and services, and the agents that can make or break the brand experience. 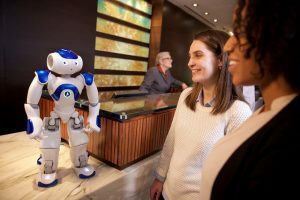 Humans can’t be replaced by robots anytime soon even though all forms of AI technology are expected to automate all repetitive tasks in customer engagement. Looking ahead, technology with a human heart is the way to go in call centres and customer service. 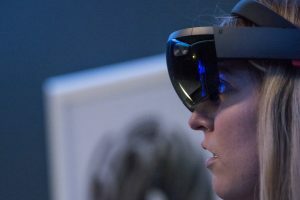 Want to know more about the immersive voice AI technology solutions at Winimy and how it can change your brand and customer engagement? We’re here to help, get in touch at [email protected].